At first glance, designing a tap that sends out jets of water in different pretty patterns may sound gimmicky and completely pointless, but there is method behind the madness. Design student Simin Qiu recognized the importance of conserving precious water and thus came up with a tap that is not only both water- and energy-saving, but also turns a stream of water into art. 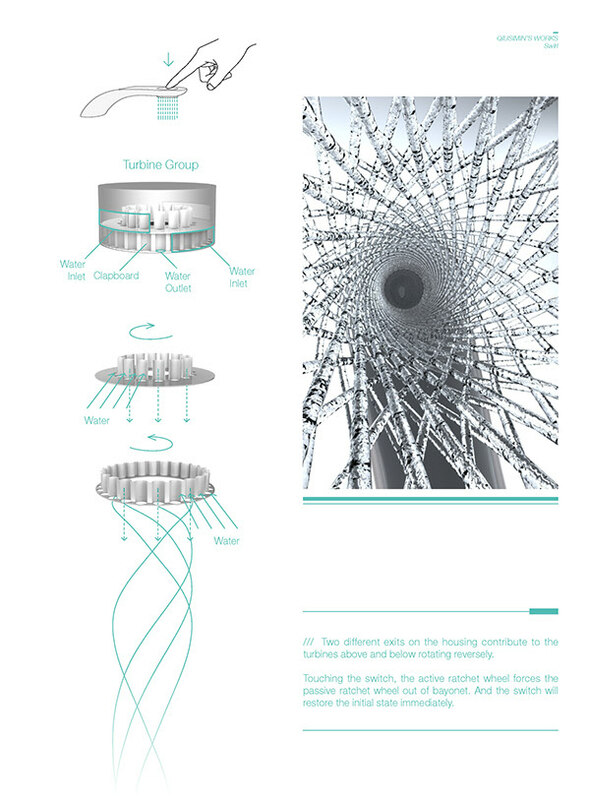 The design, which won an iF design concept award last year, features a double turbine that rotates as the water passes through it, creating a pretty funky lattice effect. 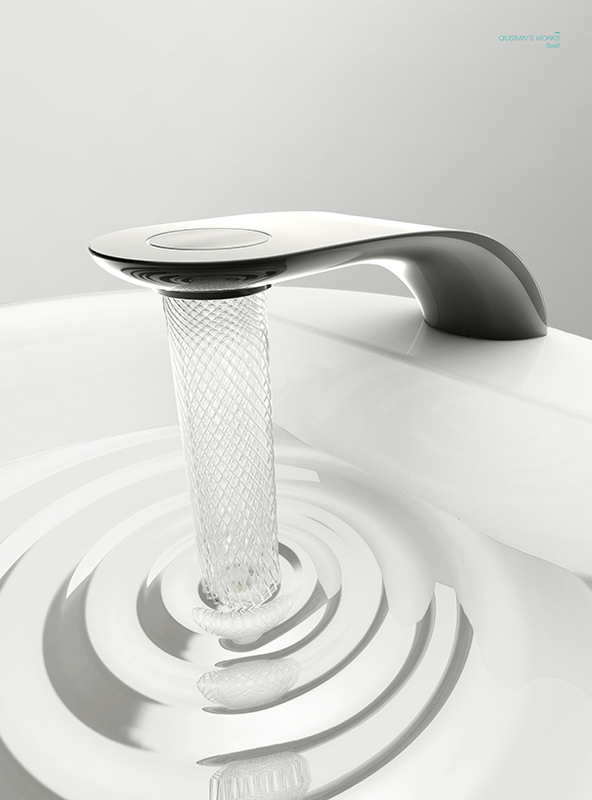 According to Qiu’s page on Behance, this addition allows 15% of water to be saved compared with a traditional faucet. Furthermore, the temperature has been set in advance to avoid unnecessary use of electric heater switches, which helps to save energy. Users can also flick between three settings that all give different pretty patterns of water.